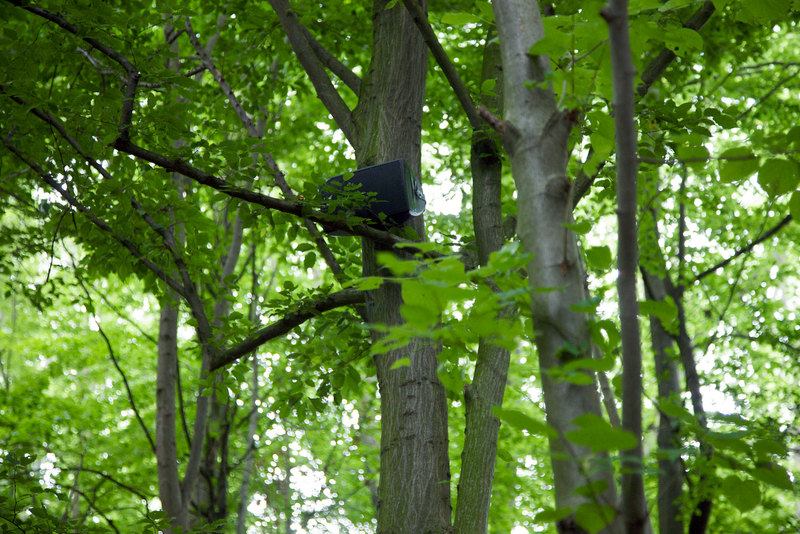 Janet Cardiff & George Bures Miller, FOREST (for a thousand years...) 2012, Installation view from dOCUMENTA (13), Kassel Germany. 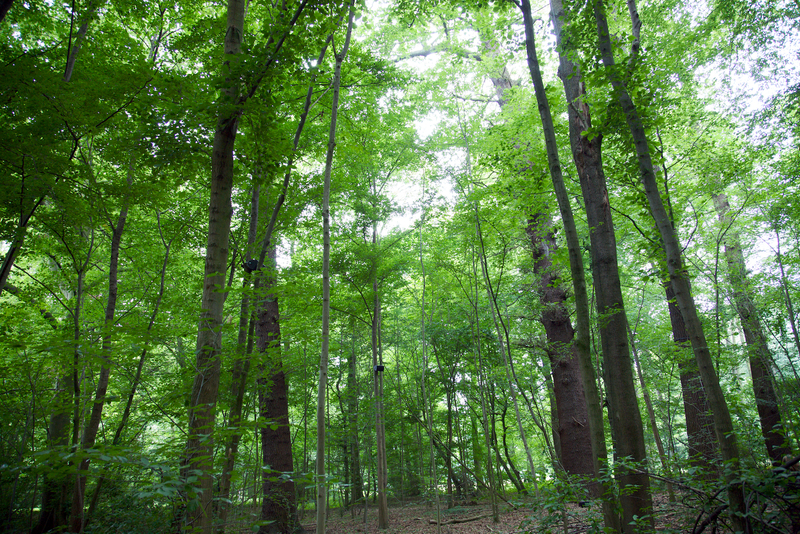 FOREST (for a thousand years...), the beguiling and uncanny audio installation by renowned Canadian artists Janet Cardiff and George Bures Miller, can be experienced April 7- July 1, 2018 in the redwood grove of UC Santa Cruz's Arboretum and Botanic Garden. 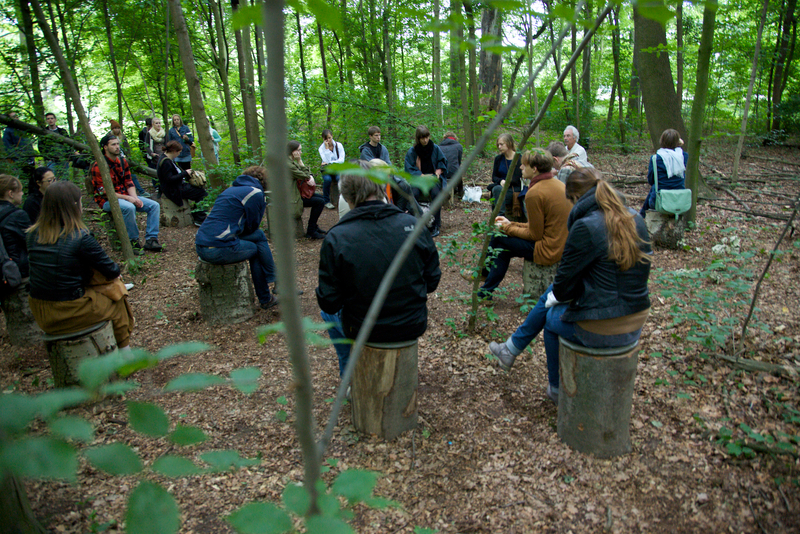 This is the West Coast debut of the 28-minute sound installation, originally commissioned for dOCUMENTA 13 in Kassel, Germany. FOREST is presented by the Institute of the Arts and Sciences in collaboration with the UC Santa Cruz Arboretum and Botanic Garden and the San Jose Museum of Art. Tuesday- Friday 12 - 5 p.m. PLEASE NOTE: FOREST will close at 4pm June 30, but will be open July 1, Sunday, 10 a.m. - 5 p.m. Admission to FOREST is included in a visit to the Arboretum and Botanic Garden. Admission is $5.00 ($2.00 for children, free to Friend's Members, volunteers, and UCSC students.) More information can be found here. 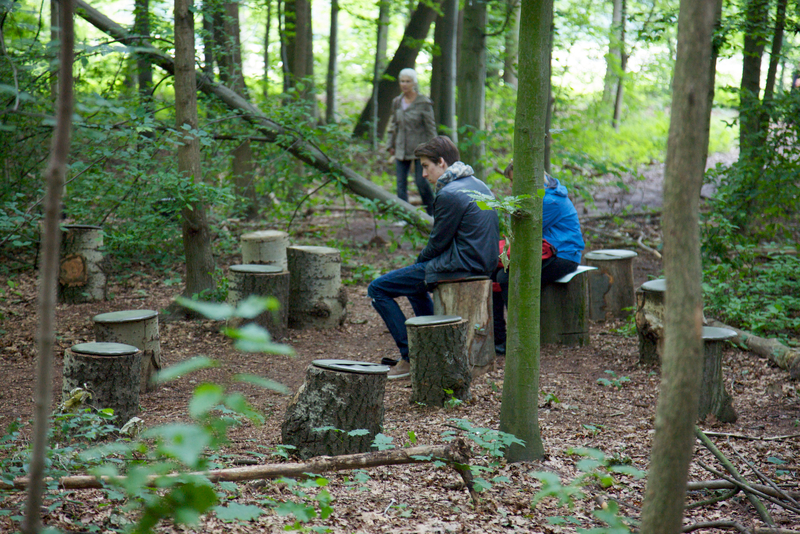 To experience the piece, you follow a path through a densely forested redwood grove. Branches crunch under your feet until you reach a small clearing populated by tree stumps. As you sit down, the sounds of rustling trees, crackling branches, and bird calls subtly intensify. An airplane passes overhead. Someone laughs. It is nearly impossible to determine which sounds are coming from a recording and which sounds are live. When machine guns begin to fire and an explosion detonates, the eeriness of the experience becomes laced with quickly amplifying uneasiness. An indeterminate history merges with the present, filled with both horrors and the sublime, and becomes an audible presence in the shadowy forest. FOREST (for a thousand years...) at the UC Santa Cruz Arboretum and Botanic Garden has been generously sponsored by the Nion McEvoy Family Trust of the San Francisco Community Foundation, Wanda Kownacki, Rowland and Pat Rebele, and annual donors to the Institute of the Arts and Sciences. Institute of the Arts and Sciences is an interdisciplinary exhibition and event forum in the Arts Division of the University of California, Santa Cruz. The IAS's mission is to harness the creative power of the arts and the sciences to explore big questions and critical issues of our time. It contributes to the cultural life of UC Santa Cruz and features the work of nationally renowned artists and groundbreaking scientists and scholars. The IAS offers a range of public programs, sponsors residencies, and curates and organizes an ambitious exhibition program. The San Jose Museum of Art celebrates new ideas, stimulates creativity, and inspires connection with every visit. Welcoming and thought provoking, the Museum delights visitors with its surprising and playful perspective on the art and artists of our time. SJMA is a leading showcase in the Bay Area for modern and contemporary art. The Museum has earned a reputation for its fresh, distinctive exhibitions, which are conceived to engage Museum visitors of various ages and cultural backgrounds. Through its exhibitions and programs, SJMA addresses major trends in international contemporary art, architecture, and design, with an ongoing commitment to also place the work of California artists in national and international context. Julie Halperin, "Who Can Tell a Forest’s Secrets? Janet Cardiff on What It Takes to Create a Truly Epic Work of Sound Art." Artnet News. Aug. 2017. ​John Wray, "Janet Cardiff, George Bures Miller and the Power of Sound," NYTimes, July, 2012.